Tesla’s Referral Program, which allowed Tesla vehicle owners to share their code with new car buyers to earn bonuses, will be wound up on February 1. Tesla didn’t offer a reason for ending the Peferral Program but it appears to be one of a few cost-cutting measures the company has taken in recent weeks. 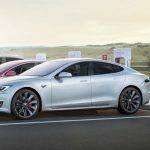 Recently the company has also phased out the entry level 75D version of the Model S and Model X and also increased Supercharging prices. 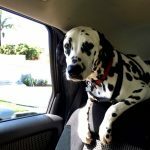 Owners were notified earlier this week that the Referral Program would be coming to an end. 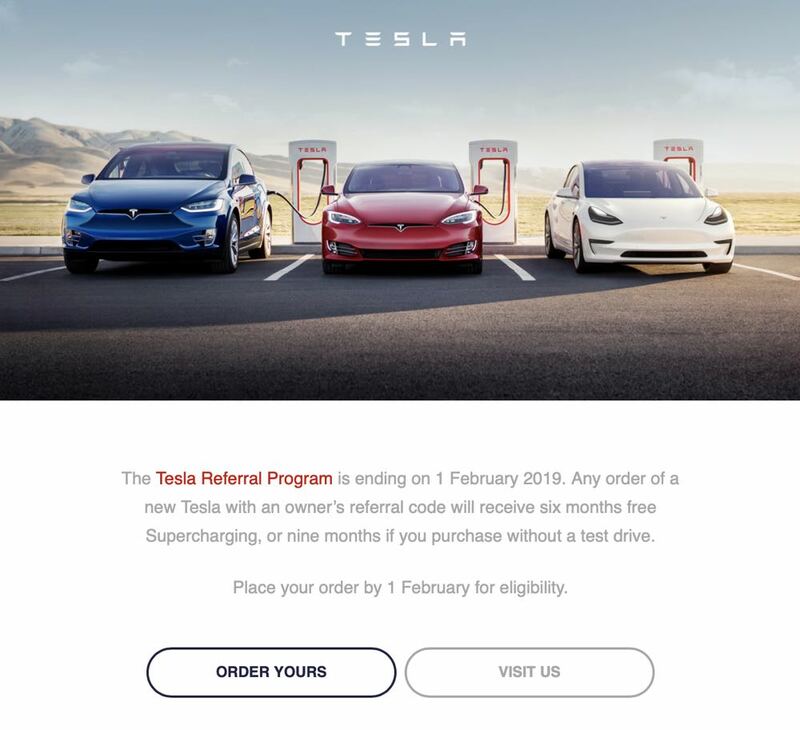 In the past the Referral Program allowed current owners to earn bonuses whenever a new Tesla customer use the code when purchasing the vehicle. These bonuses for the new car buyer included lifetime free Supercharging. At present, if a referral code is used before February 1, it will entitle the new Tesla owner to six months free Supercharging. 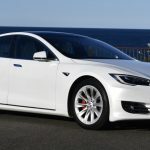 Tech Guide editor Stephen Fenech, who owns a Tesla Model S, has a referral code (https://ts.la/stephen70479) if anyone is looking for a code before the February 1 deadline. 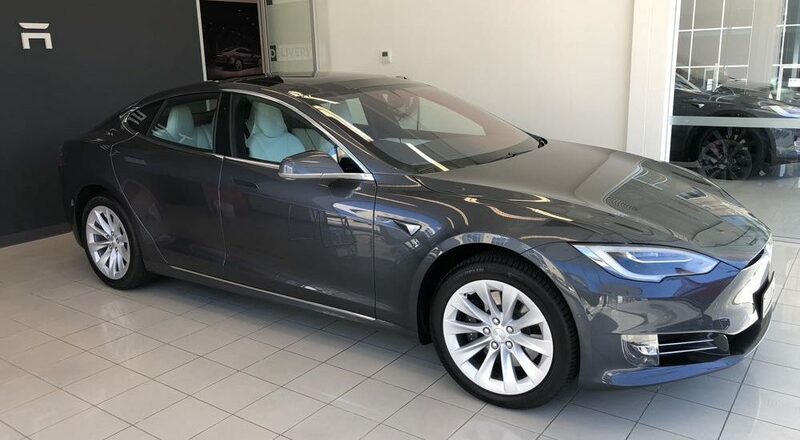 For the current owners sharing their code, the bonuses included a $700 Tesla credit, a signature black wall connector and worked its way up to a set of new 21-inch wheels when the code was used up to four times. For five or more referrals, owners would be given VIP invitations to Tesla events or a Tesla Powerwall 2. 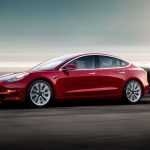 Tesla has phased out with entry level 75D Model S and Model X with the 100D now becoming the cheapest models at $170,605 (Model S) and $176,685 (Model X). 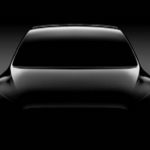 Many perceive this move as a way of preparing to introduce the cheaper Model 3 when it becomes available in Australia in the second half of 2019. At present customers can only claim a place on the reservation list for the Model 3. 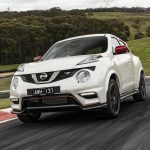 Australian Supercharger pricing is also on the rise from 35 cents per kWh to 42 cents per kWh – an increase of 20 per cent. Tesla says the price adjustment is to make up for electricity price rises and site maintenance costs. For a Tesla Model S – a full charge of the 75kWh battery will be $31.50 at a Supercharger. But 90 per cent of Tesla owners charge their vehicles at home. At current electricity prices a full recharge of a Model S 75D at home would be about $22.